For a full timeline of the changes in HOCNA leading to these events, click here. We are still waiting for official confirmation from the HOCNA Metropolis of Toronto as to the veracity of a purported letter from the board of St Nicholas Cathedral, but a timestamp on the letter that was produced in the comments section 8 hours ago and the relative silence which we have received in response to the questions we have been asking for approximately a day seem to indicate the letter below is genuine. 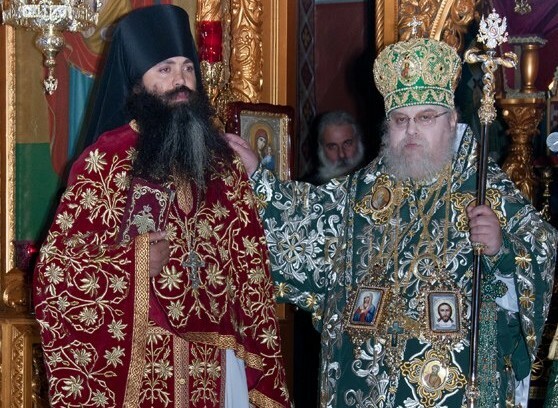 The letter below–if it is in fact an official letter of the diocese– confirms that Fr Panteleimon is guilty of moral transgressions, the claim of which was the root of the ROCOR’s case against the HOCNA in 1986, as well as the root of the 1995 schism with Archbishop Maximus of Athens, who called for reopening the 1985 investigation against HOCNA. It also lends credence to the testimony of over a dozen monks who have left HTM over the years, some of whom have left Orthodoxy altogether. Perhaps the facts of the case are not productive to individual ecclesiastical agendas. Maybe HOCNA will not confirm it because they are afraid they will lose more people. Maybe now they realize this will in fact collapse HOCNA once and for all. They would be justified in such a belief at this point. 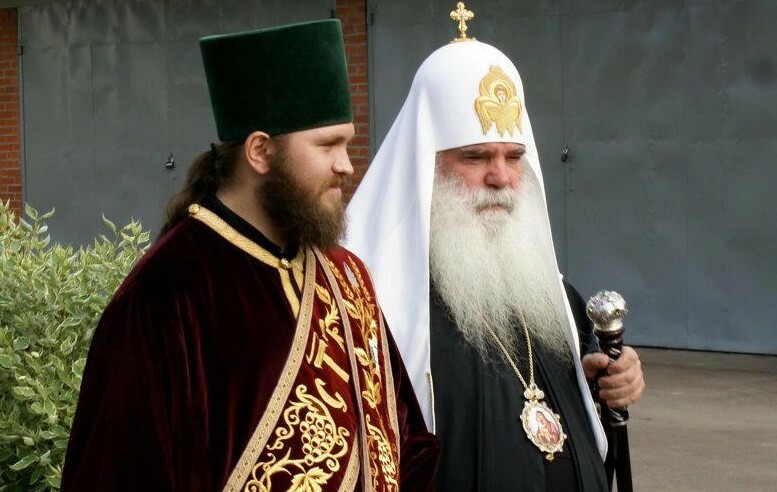 Maybe on the other side, certain people are only “privately” confirming the facts concerning Fr Panteleimon’s guilt to increase the effectiveness of the move from one side of the ecclesiastical fence to another. From my perspective, such silence concerning a matter that has affected the True Orthodox public for 28 years to shock a few more members into one or another direction is reprehensible. It is not our place to accuse either side or hypothesize. It is our job to publish, and– much to everyone’s chagrin– ask later. In any case, we can no longer wait, as this is now public on our site, to not publish the letter, and ask for official confirmation once and for all. If this letter is true, may the guilty find peace in repentance and the innocent find peace in the truth of our Orthodox Faith, which can be sullied by no man. The letter reads as follows. This past Sunday, September 16/3, we held a special parish meeting with over 150 parishioners in attendance to hear a report from Metropolitan Makarios regarding current matters of our Synod. This communique is to provide you with a summary of that meeting, and an update in our objective to keep you as informed as possible on these matters. 2) There is a change in leadership in our Synod; specifically, Bishop Demetrius of Carlisle has resigned from our Synod. 3) It is our understanding that certain moral indiscretions have occurred by Fr. Panteleimon of Holy Transfiguration Monastery. These actions and behaviour are not acceptable and not appropriate within our Church. Resolution: Father Panteleimon has resigned from the priesthood, is under a penance and living in solitude. He can no longer function as a priest within our Synod. In these difficult times, it is easy to fall into temptation, draw conclusions with misinformation and then make wrongful accusations. Please try and resist this as we navigate through these matters and come to a truthful and peaceful solution, always keeping in mind our salvation, and the good of our Saint Nicholas Parish. Our Metropolitan and the Board continue to take these matters very seriously and are looking for a responsible resolution to these matters. We are extremely concerned these matters distract us from continuing to grow and cultivate the great blessing that our Lord has given us – St. Nicholas Parish. We are dedicated to keeping our Parish informed as we corroborate facts of recent events. 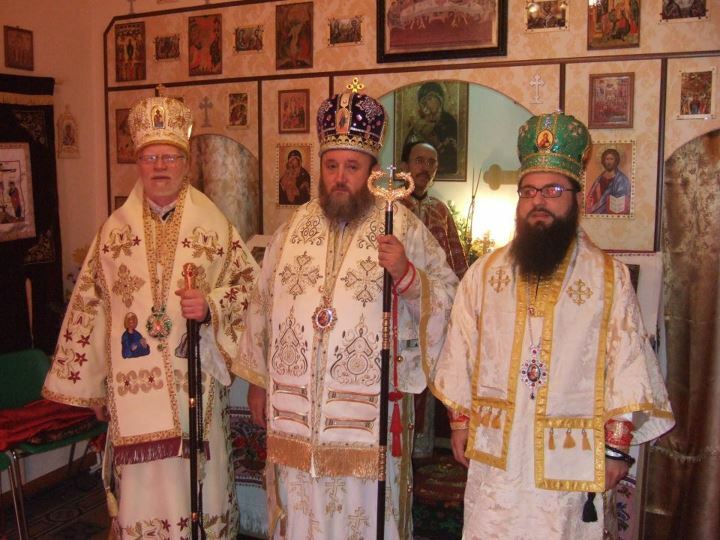 We are in continuous communication with the Metropolitan and each other to discuss and ensure we find long-term stability and continue on our path to build our Church, grow our parish, and worship according to the traditional practices of our Orthodox Faith. As you all do, we seek the truth in these matters and for our salvation. 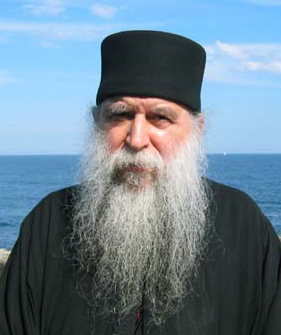 We are also mindful, that an important truth for us at St. Nicholas Cathedral and the Metropolis of Toronto, is that our Metropolitan Makarios received his consecration as bishop with the confirmation and direct descent from Archbishop Auxentios of Athens who was present and blessed our Metropolitan on January 16/3, 1991 at St. John the Theologian Monastery in Petroupoli in broad daylight with approximately 1000 people present as he was raised to the rank of Bishop. This is at the core of our community. As a Board, we are focused on preserving this in our Parish, Diocese and Synod. We ask that you continue to pray to Our Saviour to give our Metropolitan, our Board, and Synod strength and wisdom to guide us on the true path of salvation.